Are you looking for an Ocean Ridge cosmetic dentist? Dr. Mark C. McCauley provides quality dental care at affordable prices. With over 27 years of experience, he has the knowledge and skill you are looking for. We use the latest dental technologies, ensuring you the best care. Some of our most popular procedures are white filings, porcelain crowns, porcelain inlays and Lumineers. White filings are used to treat small cavities. Our office custom builds your filling, making sure it fits right and feels comfortable. The procedure is completed in one visit. Some Ocean Ridge cosmetic dentists will sell you on a more expensive procedure. We always recommend the best procedure for you. Sometimes a white filling is all that is needed. Crowns cover the entire surface of your tooth. They are a very powerful cosmetic tool. After getting a root canal, a single crown is used to cover the tooth. They can also be used to fix uneven tooth spacing and damaged teeth. If over half of a tooth’s biting surface is damaged, inlays may be right for you. We place inlays on your tooth’s cusp. Made out of porcelain, they are natural looking and durable. The entire procedure takes 2 visits. Contact our Ocean Ridge cosmetic dentist office for more details. 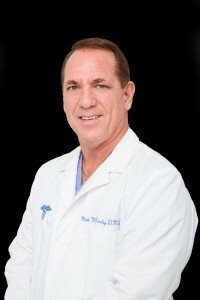 Dr. McCauley is one of the most experienced Ocean Ridge cosmetic dentists. He is also one of the most technologically advanced. He is experienced in several hard to find procedures. If you are looking to give your mouth a makeover, call our office at (561) 272-8555. We never charge for initial consultations or second opinions. We even provide free digital x-rays! You have nothing to lose and a beautiful smile to gain. We are the Ocean Ridge cosmetic dentist that offers the best services at affordable prices.